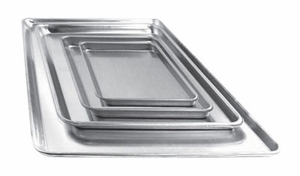 Our aluminum sheet pans are made out of aluminum. The clean edge provides easy, sanitary cleaning, a necessity for every professional kitchen. The pan is ideal for baking rolls, cookies, brownies, buns or any type of baking use. 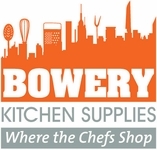 It can also be used for storage applications in the freezer or commercial kitchen. Full Size Bun/Sheet Pan Aluminum 18" x 26"